As a part of a nationwide strategy to quickly and efficient deliver a large inventory of auto parts within a short period of time, AutoZone has filed plans to build a 'Mega Hub' location in south Oklahoma City. The nation's leading retailer of automotive replacement parts and accessories has been expanding rapidly and deploying large hubs all of the country to supplement and supply its 5,000+ stores. At present, there are approximately 20 AutoZone Mega Hubs in the U.S.; this will be the first in the state of Oklahoma. 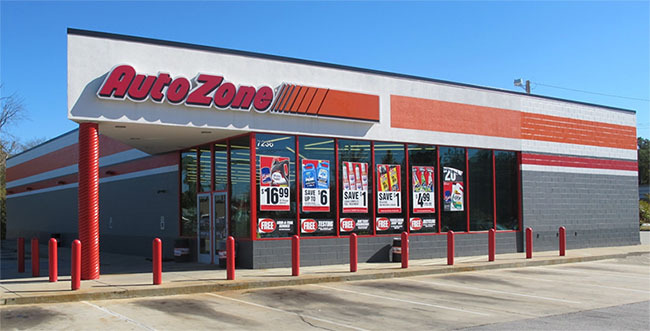 An AutoZone hub consists of a typical 6,000 to 8,000 square foot retail location in the front, but one that is operated 24-hours, 7 days a week. In the case of the Oklahoma City hub, the company will take a portion of the old Target space at SW 44th and S. Western, and the remainder of the more than 43,000 square feet of leased space will essentially be a warehouse for stocking parts and supplying other regional stores and customers – both retail and commercial – in a expedient, direct manner. The Memphis-based company employs more than 80,000 workers and in addition to warehouse employees at a hub, they also deploy a fleet of more than a dozen drivers in company vans, making runs to other stores and to clients. Mega Hubs are also used by AutoZone to build its commercial client base. Building permits show the intention to convert 42,925 square feet of the former Target, which was just under 116,000 square feet when it closed in August of 2016. Westlake Hardware continues to operate to the direct east of the old Target. 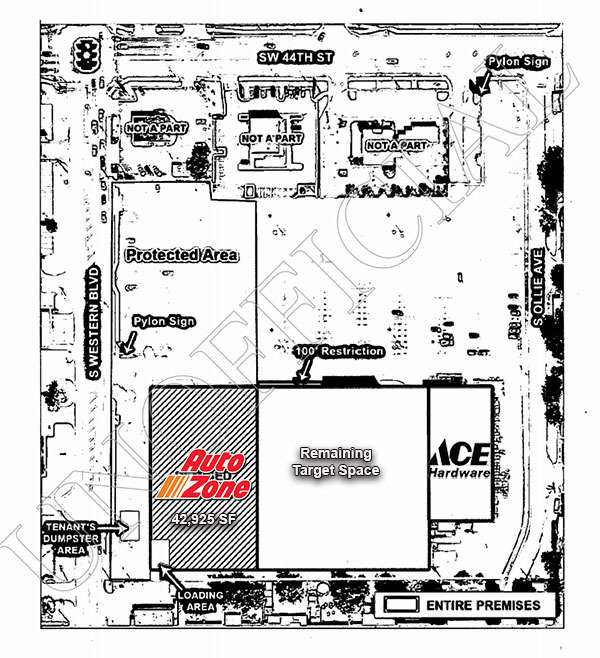 Work on the new AutoZone facility should start soon and the company typically runs ads for retail, warehouse employees and drivers after work is underway. Currently, there are 16 AutoZone locations in the Oklahoma City area. Calls to the AutoZone headquarters have not been returned.